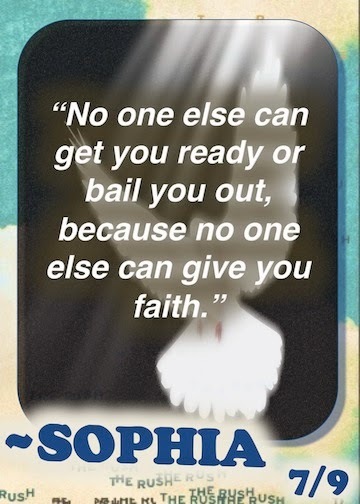 Today's card features Sophia Visser, leader of the Rush cult. A widow with a sordid past, Sophia dreams of eternal peace and salvation. But what will she sacrifice to achieve that dream, and at what cost to her devoted followers and their families? Well, at least she makes great cookies.